Evaporative air conditioning is one of the most popular choices in climate control. It provides an affordable and efficient way to cool your home or offices. However, like every other form of air conditioning system, it will need some care in order to provide you with a reliable performance in the years to come. Evaporative air conditioning works in a different way compared to conventional air conditioning units. Air is drawn into the property using water filled pads. These pads cool the air, which can then be distributed through the property, usually through a series of ducts placed in the ceiling cavity. The main reason why this type of air conditioning is popular is that it can provide relief from the hot summer temperatures without the rooms feeling dried out. The water cooled air acts in a similar way to how much cooler you feel at the beach; it offers a fresh cool feeling inside your home. Additionally, evaporative systems operate with windows and doors open. In fact, having a window or two open is actually preferable, as it allows fresh air to circulate, creating a more favourable environment for allergy sufferers and asthmatics. Since evaporative systems operate in a different way to conventional units, it is important that they benefit from specialist care and attention. Fortunately, the Air Cair team can offer an evaporative air conditioning service. Perth property owners will find that our team has the experience and expertise to ensure that your system is operating at peak efficiency. During the evaporative air conditioning service, our technicians will check the equipment for any damaged or worn components and ensure that they are replaced before they may prompt a breakdown. 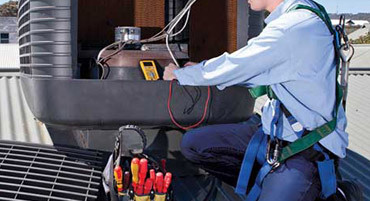 We will also inspect the duct system to check for any air leaks. Even a minor leak can dramatically reduce the efficiency of your system as cooled air is lost in unconditioned areas of the home, such as the ceiling cavity. 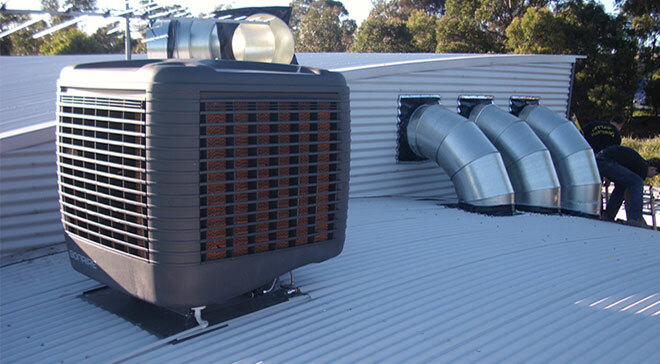 If you are in need of an evaporative air conditioning service, Perth property owners should speak to us. The Air Cair team has experience in all aspects of evaporative air conditioning repairs and servicing. We are also ready to answer your queries and questions, so contact us today.